With autumn officially started, it is time to get back to school, buy a “bouquet of newly sharpened pencils” (you got it: it is a quote from one of this blogger’s favourite 1990s rom coms) or, if you happen to be a copyright case, probably head to the Court of Justice of the European Union (CJEU). In fact, two new cases have just been referred, one concerning the interpretation of Brussels I Regulation in the context of online copyright infringement cases, and the other very interesting issues concerning transformative use and exhaustion of the distribution right under EU copyright. This is a reference for a preliminary ruling from apparent photography-loving Member State Austria (also the Painer case was an Austrian reference). As explained by the UK Intellectual Property Office (IPO), this case concerns a claim by a photographer based in Vienna (Austria) for infringement of copyright in photographs by a company based in Dusseldorf (Germany). The applicant believes that the Vienna courts have jurisdiction as the website on which the photographs were published by the defendant is accessible in Vienna. 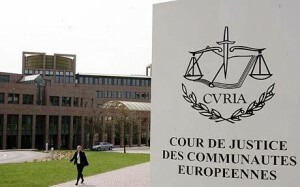 Is Article 5(3) of Council Regulation (EC) No 44/2001 of 22 December 2000 on jurisdiction and the recognition and enforcement of judgments in civil and commercial matters [the Brussels I regulation] to be interpreted as meaning that, in a dispute concerning an infringement of rights related to copyright which is alleged to have been committed in that a photograph was kept accessible on a website, the website being operated under the top-level domain of a Member State other than that in which the proprietor of the right is domiciled [Or. 2], there is jurisdiction only in the Member State in which the alleged infringer is established; and in the Member State(s) to which the website, according to its content, is directed? Some hints as to how this question will be answered may be found in the recent Opinion of Advocate General Niilo Jääskinen in Case C-170/12 Pinckney (here) and the CJEU ruling in Case C-523/10 Wintersteiger, another reference from Austria, albeit in the context of EU trade mark law (here). As recalled by helpful and learned resource Cyberleagle, this is just the latest in a series of recent references concerning internet jurisdiction. This is truly an exciting reference, this time from The Netherlands. The Dutch Supreme Court is seeking guidance as to what extent transformative uses are permitted under EU law, and also – surprise surprise! – issues of exhaustion of the right of distribution. As explained by the IPO, Allposters used the works of rightholders represented by Dutch collecting society Pictoright by altering and reproducing them on canvas. Allposters argues that the works were significantly altered and disseminated to the public in a different form; therefore Allposters did not infringe the copyright of the rightholders. An accurate background to the litigation with relevant Dutch legislation and case law is provided by EU Law Radar. Does Article 4 of Directive 2001/29/EC (the Copyright Directive) govern the answer to the question, whether the distribution right of a copyright-protected work which has been sold and delivered within the EEA with the consent of the rightholder where the reproduction has been subsequently altered in respect of its form and is again brought into circulation? The controversial ruling in Case C-128/11 UsedSoft has left many with an uneasy feeling, certainly awaiting an answer to the question whether exhaustion applies to digital subject-matter other than software (see Katpoll here). Although the Dutch reference appears concerned with works in more traditional (analogue) formats, the CJEU might shed some light also in respect of digital works.